Majority of you have received a Construction Notice and Demand For Protection (by electronic mail) on or about April 7, 2012. This is your OFFICIAL LEGAL NOTICE. Certified by US Mail, return receipt requested. I want to thank Nevada State elected officials and Clark County elected officials and their staff for upholding their oath of office. Doing a very good job of protecting my life, liberty and property. Thank you, and thanks to the local, national, and international news media and the many friends, neighbors, and relatives that helped support and save this ranch and your liberties on Clark County public land. Bunkerville Post Office on April 9, 2012. I assume these two certified letters are in full force and effect. I have not received an official letter from Clark County Sheriff Gillespie or BLM canceling the cattle seizure or a cancellation of #1 or #2 letters. Nevada Wildlife Director, Ken Mayer, you sent a memo to the NDOW board of directors and others, stating Cliven D. Bundy is a “troublemaker”. You also sent another memo to your board of directors and others refusing to forward the Constructive Notices stating, “I reviewed these attachments and found them to be inappropriate to be distributed by NDOW.” This certified mail, return receipt will be your official notice, consider it in Full Force and Effect. Nevada Governor Brian Sandoval, I am not positive you received your notices by email. I have not been able to get past your office stops. I am sorry, please accept this as official notice. 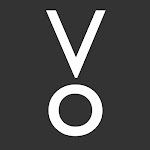 Nevada State Attorney General Catherine Cortez Masto, Clark County Commissioners Susan Brager, Steve Sisolak, Tom Collins, Larry Brown, Lawrence Weekly, Chris Giunchigliani, Mary Beth Scow, and Clark County Sheriff Gillespie have openly stated that the U.S. government owns the public land in Clark County Nevada. A. U.S. Constitution, Article 1, sec 8, clause 17, land U.S. government can own, and the conditions of obtaining additional land, for particular purposes. B. Article 4, sec 3, clause 2 - US Congress has unlimited power over US (territory) lands, or (other property), referring to or meaning Article 1, sec. 8, clause 17 (land). C. 1864 Statehood, President Lincoln’s Declaration makes Nevada a state of the union with equal footing with the original 13 states. F. 1996 Nevada Referendum, by We the People, overwhelmingly supported State control over public land. G. I have No contract, with U.S. Federal Government. 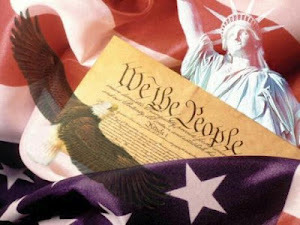 By, U.S. Constitution, Nevada State law, local custom and culture, these actions and threats are NULL AND VOID, (MOOT). I live and ranch in Clark County Nevada, abide by all U.S. Constitution and State of Nevada laws. CLICK HERE TO READ ATTACHED DOCUMENTS . Recently it was learned that attempts on the part of Federal authorities to implement impoundment procedures of Bundy family cattle near Bunkerville Nevada was called off. The federal Bureau of Land Management has suspended plans to seize the 500 to 750 head of cattle run by Clark County rancher Cliven Bundy south of Mesquite - and 80 miles northeast of Las Vegas - for now. But Bundy, 65, realizes this is just a truce in an ongoing battle. Both the Mesquite City Council and the Clark County Commission have expressed support for a plan to turn the entire Gold Butte region into a federal conservation area. Mark Andrews, a local photographer who's frequented the area for 35 years, writes in that the "BLM and the Friends of Gold Butte group have removed countless miles of road and open land access from free use. Places I used to go for decades are now blockaded. These are roads that are nearly 100 years old and in steady use. And this activity has become very aggressive and pronounced in the last 24 months." The area south of Mesquite "is really the only public area Clark County has left that's not designated for some conservation area, or preserve, or monument, or whatever," Bundy says. "I'm really the only resource user who's still got any interest in the land," he adds, referring to the grazing rights which have come down through his family for more than 100 years, a property right he insists was not granted by and therefore cannot be suspended by the bureaucrats of Washington. Arguments that Bundy - the last active cattle rancher in Clark County - is damaging the range by overgrazing as many as 750 head or somehow cheating the public by not paying management fees to the BLM sound somewhat curious when we look at what's happened to the 51 other allotments on which ranchers were grazing cattle in Clark County, within living memory. Attempting to cooperate with their federal overseers, "year-by-year their operations were crippled by rising fees and reductions in AUM (animal units monthly)," wrote investigative reporter Tim Findley in the summer 1999 edition of Range magazine. "The numbers of actively used allotments were rapidly diminishing. The cattlemen took their cases to court, and won, but the BLM simply imposed new 'force and effect' regulations. More ranchers gave up." Zero grazing fees are now being collected on those other 51 allotments, which are going to waste. Nor would the BLM be likely to lease out the Mesquite allotment to anyone else, were Bundy finally evicted. The right amount of grazing, in the minds of Mr. Bundy's adversaries, is no grazing. The real plan here is to turn hundreds of square miles into another federal conservation area, if not an outright wilderness. Where's the economic benefit in that? The Review-Journal regularly receives letters to the editor which are essentially form letters, though they bear different signatures. Typical was one received this month above the signature of Terri Rylander, a member of Friends of Gold Butte, in which she identifies herself as "a business owner living in Mesquite." (Her business is marketing and web page design.) She further asserts: "People may visit special places like Red Rock Canyon and Gold Butte for different reasons - camping, hunting, hiking, bird watching - but all visitors spend money in our communities at restaurants, hotels, gas stations, and retail stores. Protecting Gold Butte as a national conservation area with wilderness will put this unique area on the map, drawing visitors ... and ensure a steady stream of revenue to local communities like Mesquite." A June 2011 study conducted by researchers at the Jon M. Huntsman School of Business, Utah State University, holds otherwise. "We find that when controlling for other types of federally held land and additional factors impacting economic conditions, federally designated Wilderness negatively impacts local economic conditions," wrote USU researchers Brian C. Steed, Ryan M. Yonk and Randy Simmons. "Specifically, we find a significant negative relationship between the presence of Wilderness and county total payroll, county tax receipts, and county average household income." "Wilderness ... is the most restrictive of all federal land-use designations," the Utah researchers point out. "To preserve wild characteristics, the Wilderness designation prohibits roads, road construction, mechanized travel, and the use of mechanized equipment. Wilderness also impacts extractive industries such as mining, logging, and grazing." In a footnote, the researchers explain: "Grazing is expressly allowed in Wilderness Areas, but administrators may make 'reasonable regulations' including the reduction of grazing to improve range conditions." Ask Cliven Bundy about those "reasonable regulations." "Environmentalists claim that Wilderness contributes to a healthy tourism industry," the Utah researchers continue. But that argument "is simply not supported by the data." Nor is it clear that cattle damage the range. In fact, there's plenty of evidence that ranchers, with their drip lines and water tanks - supporting quail and deer and other populations as well as cattle - and the ungulates themselves, cropping the graze close enough to the ground to allow new green shoots accessible to the tortoise while reducing the fuel buildup that fosters wildfires, are a net benefit to the country, before we even consider the benefits of local, organic beef. Citizens of any state east of the Rockies would likely riot at a proposal that the federal government take over 86 percent of their state's land area. How did Nevada get into precisely that bind? In his 1999 profile of Bundy for Reno-based Range magazine, Findley reported Bundy in the 1970s was willing to embrace the "multiple use" of the rangelands then being promoted. "He was patient and tried to cooperate with advice from those he considered his friends in the BLM," Findley wrote. "But everything we tried to do - every time we tried some compromise - they wanted more," Bundy told Findley. "It was like talking to a greedy landlord. Everything became lockout or lockup." Findley introduces former Nevada District Court judge and rancher Clel Georgetta, author of the 1972 book "Golden Fleece in Nevada." He presented the then "almost subversive" legal doctrine that claims by the federal government to more than 86 percent of the land of Nevada "amounted not only to a violation of the intention of Lincoln's administration in promoting Nevada's statehood in 1864, but of previous constitutional findings on the 'equal footing' of states admitted to the union." Thus was born the Sagebrush Rebellion. Legislation introduced in 1979 by then-state Sen. Dean Rhoads, directing the state attorney general to sue the federal government for control of all federal lands not specifically set aside for federal forts, post offices or Indian reservations, "is still a part of Nevada law," Findley reported, "backed even more by a statewide referendum in 1996 in which voters overwhelmingly supported the idea of state control of public lands." "The Nevada attorney general has never taken the argument to federal courts," Findley explained. In his 1989 book "Storm Over Rangelands," the late Nevada rancher Wayne Hage detailed how ranchers, miners, and others possess split title to the Western lands. Here in the arid West, no rancher could likely make a living off a mere 160 acres of deeded land. So it's not unusual for different parties to own, say, the grazing and water rights versus the mineral rights to overlapping parcels, while neither claims to "own" all that land, outright. Federal attempts to regulate those long-established rights out of existence violate basic constitutional rights, Hage successfully argued. The BLM confiscated Hage's cattle, up Tonopah way. He fought them through the courts for years - and won. But he died soon after. His children continue the struggle. The federal government controls at least 86 percent of Nevada's land area. But the federal government can show no bills of sale for these lands, approved by the legislature of the "state" in which they lie - the only method provided by the Constitution for the central government to gain title to, or wield plenary authority over, any lands within the several states. Ironically enough, Nevada ranchers themselves have resisted reform in the past. Findley's piece for Range magazine has President Ronald Reagan asking his interior secretary, James Watt, why the federal government couldn't end its dominion over nearly one-third of the nation's lands by selling them off or transferring them back to the states. Watt had to explain to the president that wasn't really what the ranchers wanted. Years later, addressing a 1994 cattleman's meeting, "Watt said Nevada sabotaged the Sagebrush Rebellion," related Demar Dahl, former head of the state cattleman's association. "When it came down to it, a lot of the big ranchers were afraid of losing their (federal) allotments." Local politicians, as well, find it "hard to turn down that $5 million or whatever," that Uncle Sam routinely showers on local municipalities, Bundy acknowledges. "My side don't have much cash. But the other side has put us, what is it, $60 trillion in debt." Indeed they have. Yet one of these days they will descend again, with helicopters and contract cowboys, to try and drive the last cattle rancher in Clark County out of business. Even those of you from states other that Nevada can contact our AG. She needs to know that her decisions have a direct affect on you and your state as well. OVERLOADING her email, phone lines, demanding her attention and putting lots of pressure on her will effect her decision greatly... Thanks. WE NEED TO GET EVERYONE, AND THAT INCLUDES YOU, TO CALL AND EMAIL THE NV-ATTORNEY GENERAL. USE THIS LANGUAGE AS A FORMAT TO INSTRUCT HER TO ENFORCE THE NEVADA LAW! Madam Attorney General-it is your duty to enforce NRS 321.596 et al statutes (Nevada Public Lands Ownership Act) enacted by Nevada back in the late 1970's. The main component of this law (Public Lands Ownership) has yet to be adjudicated by the courts or by the US Supreme Court. This matter came to the forefront once in the court process and the then Nevada Attorney General filed away this issue by stipulating that the feds owned the public lands in Nevada. The court basically said it had no other choice but to rule in favor of the Feds. (US vs. Nye County). If you do not wish to enforce this law, which has never been repealed, then go to the Legislature and get a law passed that repeals NRS 321.596 et al and formally surrender 95% of the State of Nevada over to the Federal Government so that we out here as your Constituents know where we stand. If you choose to do this make certain you are following the instructions within the US Constitution Art 1, Sec 8, Cl 17 as to what the federal government can and cannot own within a sovereign state of the Union. Public safety and welfare is in jeopardy out here on the public domain while you elect to not enforce Nevada Law. ALL supporters can go to the AG’s site here http://ag.state.nv.us/about/contact/contact.html and email and call. Make sure you do both. Make sure you have others do the same. A lot of power comes from phone calls and emails. A portion of you folks will recognize from my name that I am very familiar with the Bundy case. I wish to address those posts (LVRJ and other blogs) that are accusing Mr. Bundy of allegedly being a squatter or stealing from the fine Citizens of Nevada by grazing his cattle on the public domain for free and for unlawful and personal monetary gain. Wrong! Notice what Bundy's position is; the State of Nevada owns the lands pursuant to their NRS 321.596 et al statutes (Nevada Public Lands Ownership Act) enacted by Nevada back in the late 1970's. All the western public lands states adopted this law back when it was called the “Sagebrush Rebellion”. The main component of this law (Public Lands Ownership) has yet to be adjudicated by the courts or by the US Supreme Court. This matter came to the forefront once in the court process and the then Nevada Attorney General filed away this issue by stipulating that the feds owned the public lands in Nevada. The court basically said it had no other choice but to rule in favor of the Feds. (US vs. Nye County). Bundy is following Nevada Law and holds that the 18 year old adverse decision against him that the BLM et al is using does not apply to him because he is not grazing on federal property. The State of Nevada has an obligation to enforce its own law on this matter. Therefore Bundy is not in contempt of any court order since he is not operating on federal property. Bundy paid grazing fees to the rightful Landlord (Clark County-NV) back in the '90's and then they returned that payment to Bundy. I know this first hand because I was there when that happened. Bundy still has the county check and he never intended to steal anything and stands ready to pay the rightful Landlord today just like he did back in the '90's. Bundy is standing up for access and multiple uses of the public resources owned by the Citizens of Nevada. Bundy is not stealing, never did and never intended to, that is the factually correct record. You folks that have leveled false accusations against Bundy may disagree with his legal position and that is ok to do so, but know that what is unfolding before your very eyes that you say should not be happening or even allowed is a very important lesson in civics. This is the way we do it in America. We should not be forced to drink the Kool-Aid and ordered to go take our seat and just shut up? Think about it. BUNKERVILLE -- The cowboy is having a hard time gathering his herd. on horses, points out a line of hoof prints. It's the best he can do. "As soon as you get the water, you see the wildlife," he says. Last week the Bundy Ranch near Bunkerville experienced a real Old West showdown. It had all of the important elements: an underdog cowboy, hired guns, the threat of cattle rustling ruffians and even a sheriff that rode in at the last minute restoring order and saving the day. All joking aside, conditions at the ranch last week were rapidly turning into a very explosive situation. This isn’t a simple dispute over cattle. It isn’t really about range rights at all. It’s not really even about preserving the desert landscape for endangered species. Rather it is yet another chapter in the ongoing struggle between the enviro-wilderness lobby and the rights of the general American public to access public lands. It is a war of clashing ideas and values; a war of principles. And history shows that those are the most dangerous kinds of conflicts. Cliven Bundy is, pretty much, the last of a dying breed of ranchers left standing in southern Nevada. All the others are long gone. Back in the early 1990s, when the desert tortoise became an issue, all the other ranchers were offered good cash money if they’d fold up their ranching operations and go home. They took it. But Bundy, who received the same offer, refused to sell. Government officials retired his rights anyway. 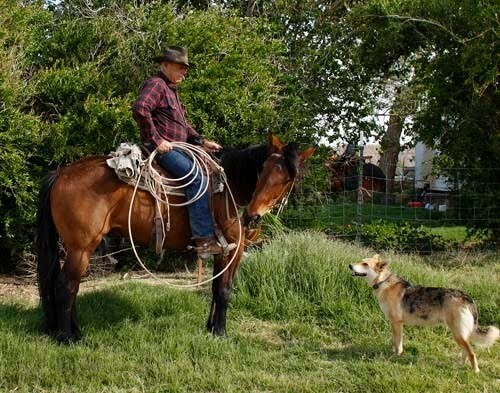 But the old rancher still believed that the rights his grandfather claimed way back in 1877 when first riding his horse onto the land was beyond the scope of federal jurisdiction. So he just continued exercising those rights and continued ranching on the land. In 1998, the federal government finally took Bundy to the U.S. District Court in Las Vegas and won. Bundy then appealed to the 9th Circuit but the prior decision was upheld. At that point, Bundy was most likely exhausted. He finally left it to the State of Nevada to assert its sovereignty in the issue before the U.S. Supreme Court. This never happened. All that was nearly fifteen years ago. 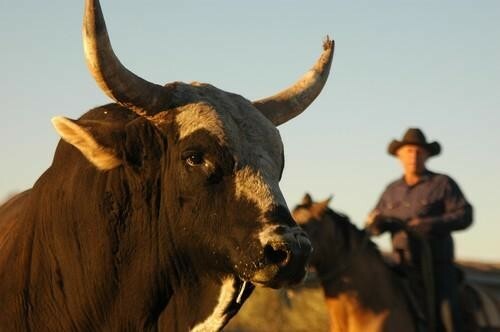 So according to the courts, Bundy has been in trespass with his cattle ever since then. Nevertheless, he has stubbornly just gone on with his ranching operation anyway. Bundy’s cows have been out there on the range all that time, commingling in peace with the tortoise and other ecologically sensitive species. And until recently, no one has done much about it. Over the past year or so, though the BLM has suddenly ratcheted up the pressure on Mr. Bundy and his cattle. They have sent him a barrage of threatening notices trying to get him to stop his unauthorized ranching. Finally, last week they upped the ante. The BLM hired some contract cowboys to round up all of the Bundy cattle and remove them from the area. That was supposed to happen on Wednesday. But Bundy would not be intimidated. Convinced that his cause was right he called for support from the public, from the media and from local elected officials. He boldly stated that he would hold local and state law enforcement authorities accountable for any damage to livestock and property that may occur. More importantly Bundy vowed to do “whatever is necessary” to protect his rights and his property. It was clear to all that this was not just an idle threat. Bundy apparently fully meant what he said. Not wanting to see a livestock dispute turn to bloodshed, BLM officials backed down. They were right to do so and they should be commended for the wisdom of this decision. Interestingly, the BLM was immediately attacked by environmental groups like the Center for Biological Diversity for not carrying out this ill-fated operation. They immediately announced that they would be filing a lawsuit against the federal government in the matter. They seemed to be saying that the BLM should have stopped Bundy from ranching, whatever the cost. In short, they wanted blood! This radical enviro reaction seems to cut to the very heart of the matter and reveals what all the bruhaha is truly about. For fifteen years, the federal government has basically looked the other way while Bundy has run his cattle on the land. Why, all of a sudden, over the past year has this become such an urgent matter? There has not been documentation of an onslaught of the tortoise population due to cattle trampling. There is no evidence that Bundy cows are committing any new serious environmental violations in the past year that might be different from the past 135 years of peaceful coexistence on the land with the tortoise. So what is new? The only thing new on the scene is the proposal by federal land managers, over the past couple of years, that the Gold Butte Complex is “one of America’s special places that deserves special protection”. That proposal has come in the form of a recommendation to Congress to designate Gold Butte as a new National Conservation Area with huge tracts of new wilderness area. Simply put, it is the desperately sought agenda of these same national enviro-wilderness groups. They want wilderness and you just can’t have Ol’ Man Bundy’s cows wandering around out there messing that up. We will leave it to our readers to form an opinion on whether Cliven Bundy is right in his actions, and whether or not he has a solid legal leg to stand on. Perhaps he is justified in standing up for his life, liberty and property at all cost. Or perhaps he should be censured for defying the American justice system. In any case, Bundy in many ways represents the goat sent out into the wilderness to atone for a public who still believes in maintaining access to its public lands. He is the last holdout and the final substantive obstacle to the nonsensical enviro-wilderness agenda. A long-time dispute between local rancher Cliven Bundy and the federal government over grazing cattle on the southern Nevada deserts nearly came to a head last week. At the last minute on Wednesday, BLM officials in Washington D.C. pulled the plug on an operation that would have rounded up and impounded hundreds of Bundy’s cattle ranging over thousands of acres of northeastern Clark County. Bundy’s ranching operation is based out of his Riverside home just south of Bunkerville along the Virgin River. The BLM gather had been in planning for months, according to Bundy. During recent conversations with Sheriff Doug Gillespie, Bundy had learned that the BLM planned to enforce an impound notice which had been issued in July 2011. The cattle were scheduled to be gathered and removed from the land on Wednesday by contract cowboys Catoor Livestock Roundup, Inc., Bundy said. On Monday afternoon, April 9, as the situation became more volatile, Bundy and his family sprang into action. They contacted family, friends and sympathetic organizations to notify them of the situation. They also contacted the local and regional press. In addition, Bundy sent notice to the Catoors, the Sheriff, the Clark County Commissioners and other state elected officials; promising to hold them liable for any loss of his cattle or equipment in the raid. In the notice, he urged the Sheriff to “say NO to this unconstitutional power without limitation seizure”. “Cliven Bundy will do whatever it takes to protect his property and rights and liberty and freedoms and those of We the People of Clark County, Nevada,” the notice stated. But within 24 hours of Bundy’s notice, the BLM backed down. Bundy reported receiving another phone call from Sheriff Gillespie. BLM Southern Nevada District Manager Mary Jo Rugwell told the Progress Wednesday afternoon that the BLM had decided not to proceed with the impoundment operation and instead would move forward with legal action. “We will work with our solicitor to put together a case that describes what the effects of the long-standing trespass have been,” Rugwell said. Last year the BLM conducted a cattle count in the region to determine how many of Bundy’s cattle were in the area, Rugwell said. Multiple letters were sent to Bundy over the past year requesting that he voluntarily remove the livestock from the area, Rugwell said. “Our goal all along has been to get the cattle out of the area in a safe way,” she said. Rugwell said that the cattle have been causing damage to vegetation and cultural resources in the area. Much of the rangeland in question is under a special federal designation as habitat for the endangered desert tortoise. Rugwell also claimed that the cattle pose a safety hazard to other people using the public lands. Bundy dismisses the claim that the cattle are damaging tortoise habitat. He states that there has been absolutely no proof that the tortoise is affected by cattle on the range. He also admits that his cattle have roamed beyond the lands that he claims as his grazing allotment. As the waters of Lake Mead have receded, Bundy’s cattle have been found to have roamed across the Muddy River and onto National Park Service lands at Lake Mead. But Bundy says that Nevada is a ‘fence-out’ state in its laws. “According to Nevada law you don’t have to fence your cattle in, you have to fence your neighbor’s cattle out,” Bundy said. Years ago, when ranching in Clark County was common, this law worked well, Bundy said. Neighboring ranchers built fences to establish the boundaries of their allotments, he said. But Rugwell said that, aside from all of this, the heart of the matter for the BLM is one of fairness. The BLM claims that Bundy is grazing his cattle on public lands wholly without authorization. Rugwell explained that Bundy fell out of compliance with grazing regulation as far back as the early 1990s when the desert tortoise was listed as endangered. Grazing permits, which were issued then in ten year increments were re-analyzed and adjusted at that time to reconcile the needs of the tortoise, Rugwell said. Later, in 1997, Clark County, as part of its Multiple Species Habitat Conservation Plan (MSHCP), offered to purchase all the existing grazing permits from Clark County ranchers and then retired all the existing grazing permits. Bundy refused to sell his rights. But the entire allotment was still retired at that time, Rugwell said. “The result is that there is no authorized grazing on any of the area,” Rugwell said. But Bundy insists that he has retained his rights to ranch on the land. He does not accept federal jurisdiction over his various ranching rights and maintains that the county and the state have policing power in the matter. Bundy’s water and range rights originate with his grandfather who began ranching the area in 1877. Since then, Bundy has either bought or inherited other rights which, he says, includes allotments over 120 square miles in the Virgin Mtn. range, the eastern side of the Mormon Mesa, the Toquop wash area, and some areas south of Bunkerville. Bundy explained that, before the tortoise was listed as endangered, he paid grazing fees regularly to the BLM. But as the tortoise increasingly came into the picture, Bundy, who at the time served on the State Grazing Board, noticed that the arrangement seemed to be changing. In response, 14 years ago, the federal government took Bundy to court and prevailed. The decision found Bundy in Trespass and it levied a heavy fine of $200 per day per cow on the land. Bundy expected an appeal to the Supreme Court by the state of Nevada who he said should have proclaimed its sovereignty in the matter. But nothing was ever done about it. Meanwhile, Bundy just kept ranching. Bundy sees the issue as larger than just himself and his own grazing rights. It involves all of the public of Clark County, he says. For now, at least, the crisis seems to be over. Bundy is unsure of what the next steps will be. But whatever comes down the pike, he is determined to keep up the fight to the end. Cliven Bundy is a hero of the range livestock operator on the public land. All of the grazing rights on the public land have been taken over by the federal government under grand theft from the states' rights and states' borders. So therefore, Bundy has never broken the law. Bundy's ancestors have been on the range in Nevada since 1877. His pioneer forefathers settled the ranching area where no one else would or could use it, developing the water and establishing a spread to raise desert cattle, a native breed that survives on browse. They developed the range and the water. Cliven Bundy has followed in the same ranching business which established first use of the water, and the grazing and the browse which came with the water right. The ones that get first-use rights on the water get the first use of the grass and the browse. Grazing and the browse go together. This is a sacred God-given right of unalienable rights, private property rights. 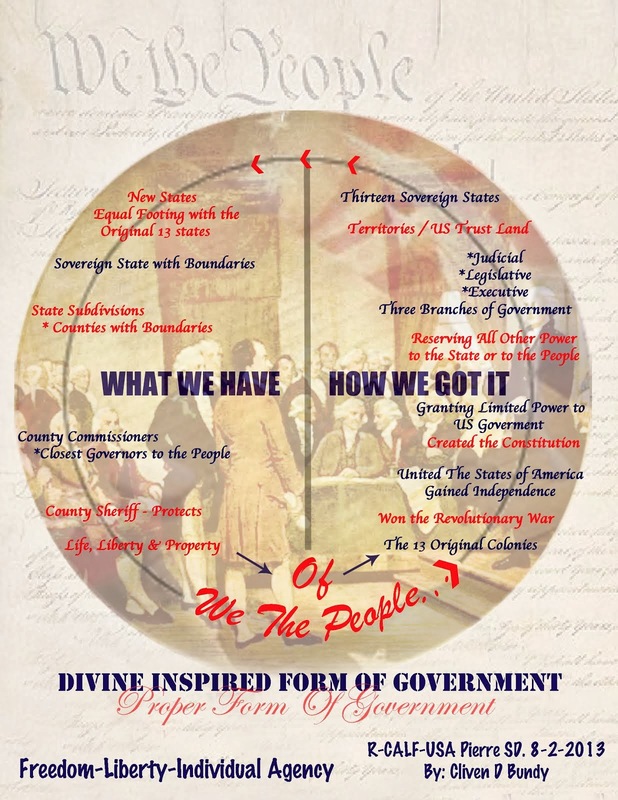 We believe in these things because without this our nation would have no foundation without God-given rights. 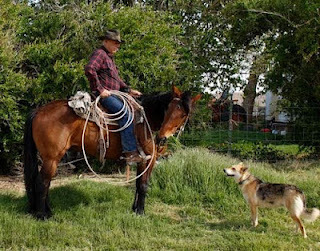 Cliven has been a strong and faithful friend to the grazing people and stood fast in every type of opposition that the BLM can throw at him and we admire his tenacity and determination to stay with his convictions. He has developed a special breed of cattle that can survive in the desert and still produce a calf. It's not a big money-making deal but it's a way of life for the Bundys to raise their family and to live peaceful and honest lives. We have to admire people who will take what's left over in nature and make it produce food where nothing else can. Nature does a poor job of running a ranch or developing water or producing any food. Nature left by itself goes to rack and ruin. It takes man's hand and God's blessing to develop food on the desert or anyplace. We admire the Bundys for what they are doing. We give them our blessings and support to go ahead with what they are doing to defend their property rights, their cattle, their livestock, their livelihood and their way of life. Every man who has a grazing permit on the forest service or BLM land should back Cliven Bundy with his support and prayers. Cliven Bundy is the last man standing in S.Nevada and needs our support and prayers to preserve his property and his way of life. The federal government claims to be able to charge grazing fees, a right they do not have under Article 1-8-17 of the U.S. Constitution. Sheriff D oug Gillespie rode with Cliven Bundy in his weathered, white pickup down a bumpy trail on the outskirts of Bunkerville. They chatted about the Bureau of Land Management's plans to round up the rancher's cattle. The sheriff agreed to disagree with the 65-year-old rancher's suggestion of what he should do as Clark County's elected law enforcer to keep federal land managers from "stealing" his cattle. "These are federal lands. They can do what they want to do," Gillespie recalled telling Bundy during the April 6 tour of the Gold Butte range, 80 miles northeast of Las Vegas. "I use my influence to make sure whatever is done is done by the law and, No. 2, it is done peacefully." Then and now, Bundy remains steadfast in his intention to resist government efforts to round up his cattle from rangeland where his family has lived since 1877. The BLM had canceled Bundy's permit for the Bunker­ville allotment in 1994. But he continued to let his cattle graze on the vast, sage-dotted landscape -- without paying the $2-per-head-per-month fee and in violation of a federal court order that he remove his herd to preserve the habitat for the federally protected desert tortoise. So, the BLM finally hired cowboys and planned a helicopter-assisted roundup last week to remove his herd -- anywhere from 500 to 900 head of cattle depending on who's counting. The BLM's last-minute decision to divert its roundup plans, at least for now, to pursue another legal avenue raises questions about how one man's resistance to the bureau's rules will affect other ranchers in the West. This could signal the resurgence of the Sagebrush Rebellion, a homegrown state's rights movement against federal land ownership that swept across rural Nevada and surrounding states in the 1980s. Bundy didn't mince words when he put the BLM contractor on notice about the cattle gather that was supposed to begin Wednesday. "There is a volatile situation currently taking place," Bundy wrote to Cattoor Livestock Roundup Inc. "Cliven Bundy will do whatever it takes to protect his property and rights and liberty and freedoms of those of, We the People, of Clark County Nevada." His threat seemed to have worked, at least for the time being. The BLM blinked when officials in Washington, D.C., decided late Tuesday to suspend the roundup indefinitely because of safety concerns for people involved. That disappointed BLM Southern Nevada District Manager Mary Jo Rugwell. She and her staff had spent months plotting the roundup and coordinating with BLM rangers, a special bureau agent for the Southwest region and the sheriff's staff and officers who work out of the area's rural substation. The FBI even sent a representative to listen in, Gillespie said. After all, they didn't want the long-simmering feud over grazing rights to boil over into a deadly confrontation like what occurred at the Weaver Ranch in Ruby Ridge, Idaho, that left two family members and one federal marshal dead in 1992. Or, like the standoff in Waco, Texas, that ended on April 19, 1993, when federal agents besieged cult leader David Koresh's Branch Davidian ranch, ending in a fiery assault that killed 76 people. "Nobody wants this to turn into a confrontation where violence would occur," Gillespie said. "Mr. Bundy doesn't want that and neither does the BLM." While he's not concerned that Bundy or his family would resort to violence, the sheriff said, the situation is complicated and emotions run high. "I always get nervous when people come to support a cause on one side or the other. Whether on the environmental side or the cattle rancher side, we have to do our best to mitigate those situations from occurring," the sheriff said. Gillespie's advice to the BLM was to revisit legal avenues for dealing with the disgruntled rancher. He said he felt uncomfortable trying to be the peacemaker after the 1998 court order that federal land managers were trying to enforce had withered with time. "Those court documents are old," Gillespie said. "I ask them to take that back to court and address the issue. Then, OK, if he continues to trespass, then you seize the cattle. "In my conversations with the BLM from their legal standpoint, I see it as a case of 'could you, should you.' Could you? Yes. Should you? No. Cattle does not trump human life." 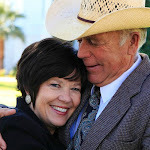 Rugwell made removing Bundy's cattle one of her priorities when she took the reins of the local BLM office in 2008. In the early 1990s when he was still paying grazing fees, the herd on his 158,666-acre Bunkerville allotment was capped at 150 head. About 10,486 acres of the allotment was on National Park Service lands along the tip of Lake Mead's Overton arm. After his grazing permit was canceled in 1994, the herd grew and some cattle migrated to far reaches of the Gold Butte area. Last week, Bundy estimated his adult cattle numbered about 500 in what the BLM describes as the 500,000-acre Gold Butte area. Rugwell said her staff in December began planning for the roundup but the cattle's impact on the landscape was getting out of hand, causing considerable damage to natural resources even though Bundy had been diligent in maintaining some 30 spring-fed water systems in the area. "We really didn't know how big the problem was until we started doing counts last year. There were as high as 900 (cattle) out there," Rugwell said Thursday. Subsequent counts in August tallied 730 cattle, and the latest one this month turned up 750. That doesn't include strays that had wandered over the state line to Pakoon Springs, Ariz.
Rugwell had set a target of early to mid-April for the roundup because conditions would be right for it. "We were making sure that it's not too hot, because there would be less stress on cattle and people. That's the reason for the timing," she said. Rugwell notified Bundy in an April 3 letter about his cattle trespassing on public lands. She informed him they would be rounded up and impounded because the herd had been roaming for 18 years "without authorization in areas that are closed to grazing" in violation of the 1998 federal court injunction. The letter said Bundy would be contacted after all the cattle had been gathered and he would be allowed to claim any that bear his brand. "In my mind, the most important issue with respect to trespass is the fact trespass is unfair to other users, like recreationists. They pay fees and follow rules. In my mind it's a fairness issue," she said Wednesday after the roundup had been suspended indefinitely. Cases like Bundy's have been tried before in the courts, and county sheriffs in Nevada, California and Idaho have had varying degrees of support for ranchers and their causes. But Bret Birdsong, a professor at the Boyd School of Law at the University of Nevada, Las Vegas and an expert on public land and natural resources litigation, said Bundy's legal arguments that federal rangers and BLM staff have no jurisdiction over the federal lands he uses for ranching "are based on interpretation of the Constitution which has been debunked by the Supreme Court for many years." "That is clearly not the law," he said. Bundy contends the limitless authority that the federal government had over the territory evaporated when Nevada became a state in 1864. However, Birdsong said the BLM still has power to enforce laws on public land and to seize cattle through a court order or even by administrative action. "I don't see personally why they couldn't go back to court to seek enforcement of the injunction," Birdsong said. "The idea that the sheriff should come to his defense seems just wrong." Bundy appealed the U.S. District Court ruling, and the 9th U.S. Circuit Court of Appeals affirmed the injunction against him in a 1999 order. However, there is concurrent jurisdiction between the BLM and the sheriff with enforcing laws on federal land. "If someone steals your car while you're camping at Gold Butte that would be enforceable under state law," he said. "But if the state passes a law that allows grazing on federal land, and federal law says you can't, then federal law prevails where there's a conflict." Birdsong points to a 1997 cattle trespass case in Northern Nevada that stands as a precedent for legal action by the BLM over Bundy's continued effort to run cattle where grazing is prohibited in Gold Butte. In the 1997 case, Clifford Gardner was charged with trespass by the U.S. Forest Service for letting cattle from his Dawley Creek Ranch roam part of the Humboldt National Forest that had been ravaged by a wildfire. Although Gardner and his wife, Bertha, had a permit to graze there, the Forest Service had reseeded the burn area and closed it to grazing for two years. Gardner violated the order by sending his cattle in and was fined for trespassing. He was sued by the Forest Service after refusing to pay the fine, arguing that the federal government didn't have title to the land so he couldn't be in trespass. The 9th Circuit, however, held that the United States, not Nevada, owns public lands in the state and that they have power to regulate grazing under the Constitution's property clause. The U.S. government's authority over public land is far-reaching; its agencies hold 87 percent of the land in Nevada. The BLM alone manages more than 47 million acres including about half of the land in Clark County, or roughly 2.7 million of the county's 5.1 million acres. Reno resident Ramona Morrison, daughter of the late Sagebrush Rebellion icon Wayne Hage, said she is closely following the Bundy-BLM feud as a member of the Nevada Agriculture Board. "We need to be sure due process of law is being followed and state law is being followed and the BLM is not conducting a rogue police operation," she said. 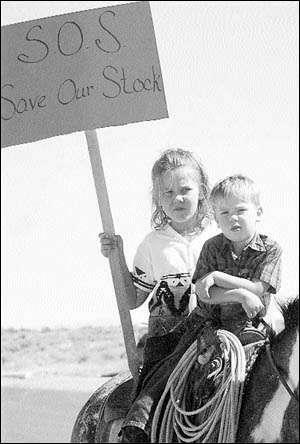 Her father battled the federal government for decades over public lands and private property rights after the Forest Service greatly reduced the number of cattle he could graze. Hage sued the agency for harassment and prevailed in 2002 when a judge ruled he had a right to graze cattle and use springs on federal land north of Tonopah. But others argue that federal agencies aren't doing enough to protect public lands from overgrazing. The Center for Biological Diversity is contemplating suing the BLM for dragging its feet on the roundup, noting the county bought up the grazing rights in 1998 and retired them to benefit its Multiple Species Habitat Conservation Plan, considered a model for allowing development and sensitive ecosystems to coexist. "On the ground, even though good intentions have been made, nothing is different than before," said Rob Mrowka, a spokesman for the environmental watchdogs. Greta Anderson, deputy director of the Western Watersheds Project, a nonprofit conservation group, said the BLM needs to follow through on its roundup instead of knuckling under to Bundy's threats of resistance. "They have all the legal authority in the world but not the political will." 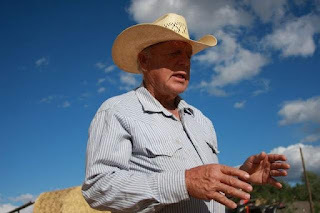 Mesquite cattle rancher Cliven Bundy says Clark County Sheriff Doug Gillespie told him this week that word had come down from Washington, D.C.: The plans of the Bureau of Land Management to seize Mr. Bundy's 500 head of cattle grazing south of Mesquite have been suspended, for now. "He said I should get back to ranchin'," Mr. Bundy said. But Mr. Bundy, 65, realizes this is just a truce in an ongoing battle. He is the last active cattle rancher in Clark County -- his family has been using the land for more than 100 years. But the BLM wants him off. The dispute has dragged on for more than a decade, ever since a federal court sided with the government. Things grew more tense in recent weeks when the BLM threatened to forcibly round up the cattle and Mr. Bundy made noise about resistance. Could we have a better case study to highlight that the federal government controls too much land in Nevada? Citizens of any state east of the Rockies would likely riot if the federal government proposed to take over 86 percent of their land. The crippling economic consequences of such a taking would be obvious. Yet that is precisely the situation in Nevada. Yes, in recent years members of our congressional delegation have successfully shepherded through Congress legislation that allowed the BLM to auction tracts of Southern Nevada real estate for development or other use. But the resulting revenue was used, in part, to purchase "environmentally sensitive" property in other areas of the state, leaving no net reduction of the acreage in federal hands. Nevada lawmakers should join Utah and Arizona in attempting to wrest control of federal land. Their legislatures are pushing bills that urge Washington to hand over much of its vast holdings -- excluding national parks, wilderness areas or military installations -- to the states within a couple of years. It's a battle worth fighting. The federal government controls too much of Nevada. The decision that this week halted the government-threatened roundup of hundreds of cattle owned by Bunkerville rancher Cliven Bundy from Gold Butte southwest of Mesquite came from the highest level of the Bureau of Land Management (BLM) in Washington, D.C. The cattle that for years have been the focus of an intense dispute between Bundy and the BLM were scheduled to be corralled and taken off the land Wednesday by “contract cowboys,” Cattoor Livestock Roundup Inc., Bundy told the Desert Valley Times. Bundy said he learned weeks ago that his long-standing disagreement with the BLM over the cattle was once again coming to a head after simmering with little or no action for years. “I had been working with the sheriff (Clark County Sheriff Doug Gillespie) for about six weeks and I was aware things were changing,” Bundy said. During a recent personal visit from Gillespie at his ranch, the 65-year-old Bundy said he learned the government intended to enforce this week an impound notice that had been issued July 26, 2011. Bundy and family members immediately began notifying and contacting various friends, groups and others sensitive to his position about the land and proposed roundup. He also notified the Cattoors, the County Commission and the sheriff that he intended to hold them liable for all of his cattle and equipment. In the notice, the rancher said there was a “volatile situation currently taking place. “Cliven Bundy will do whatever it takes to protect his property and rights and liberty and freedoms and those of We the People of Clark County Nevada,” Bundy wrote. BLM Southern Nevada District Manager Mary Jo Rugwell told the DVT late Thursday that she didn’t know who had contacted Gillespie, but an email she had personally received rescinding the roundup was from BLM Deputy Director Mike Pool. When I was a kid, I visited Mystic Seaport, on the Connecticut shore. They still had a few old-timers there who could demonstrate 19th-century crafts, creating works of art out of knotted rope or carved whalebone. I remember their calloused hands, working in the shade of tar-scented sail lofts. They'll all be gone, now. I wonder if they managed to train any younger souls to carry on those crafts with anywhere near that level of dexterity. Like those who can still craft a mountain dulcimer, I doubt there are many. Here in Nevada, within living memory, there were 52 cattle ranchers in Clark County. The last one, Cliven Bundy, called me Monday to report the federal Bureau of Land Management has warned him they're going to hire some contract cowboys to round up and seize the remaining 500 head he runs south of Mesquite, some 80 miles northeast of Las Vegas, possibly as soon as tomorrow, Wednesday. The branded stock may be theoretically "returned" to him -- though he shakes his head over the injuries the animals may sustain, the mama cows which will be separated from their calves, the unaffordable feed and storage fees he'll be expected to pay to avoid forfeiting the entire herd. As for the "slicks" -- the yet-unbranded young livestock? He assumes they'll simply be rustled, stolen, sold out-of-state. Cliven told me he called the state brand inspector, Monday. That's the guy who's supposed to enforce our state laws against cattle rustling. He was told not to expect any help, there. Cliven felt he had no choice but to "fire" the BLM -- to stop cooperating with them over grazing plans, etc. -- years ago. He explains the BLM's "ecologists," with their college degrees but little or no experience actually running cattle on arid desert lands, sought to limit his "permits" in a way that would allow him to graze cattle on the range only from mid-summer through late winter. They wanted him to pull his cattle off the range in springtime, when they expressed concern the big brutes might trample the precious little baby desert tortoises. But what's real-world, empirical evidence provided by local yokels with calloused hands and funny western drawls, to "experts" who've got the proper college degrees? The only time cattle will fatten on a desert range is in the springtime. Cliven explained to the BLM guys that he had no big feed lot on which to hold his cattle during the spring -- even if he could afford to do so, with hay now at $400. The only option they were giving him was to sell his cattle for slaughter in February, and then to buy new stock and put them on the land in July. He says the BLM guys told him that would be fine. But from mid-summer through February, cattle on a desert range LOSE weight. Besides which, "You can't bring in cattle from elsewhere and start them in this desert," Bundy explains. "If they're not raised on this range by their mamas, who show them what to eat, those cattle starve." Mark my words: Within 30 years, though it's unlikely either I or Cliven Bundy will be here to say "I told you so," there will be a popular movement to bring back cattle ranching in the West -- a rich culture and proud way of life and a source of healthier, more nutritious locally produced food, a culture willfully and spitefully destroyed during our current era, with all the ironies of our supposed celebration of "multiculturism." Problem is, no one will remember how to do it. And -- the generational links broken with the forced retirements of old-timers like Wayne Hage and Cliff Gardner and Cliven Bundy -- there will be no one left to ask.